Chalet Bernardie is a lovely chalet apartment situated in the traditional chalet building “Chalet Fruitière” along with two other apartments. It has a ground floor entrance that leads into an entrance area with downstairs WC. A triple bedroom, the open-plan kitchen, living and dining area area also situated on the ground floor whilst two further bedrooms and a family bathroom can be found on the 1st floor. Chalet Bernardie sleeps up to 7 people in 3 spacious bedrooms. One double bedroom has an en-suite bathroom whilst the other twin and triple bedroom share a family bathroom. The living area in Chalet Bernardie is open-plan with a renovated kitchen, a large dining table and comfortable couches surrounding a lovely log fire. There is access onto a private sun terrace that overlooks the surrounding mountains! To add to your holiday the chalet also boasts a boot heater for 6 pairs of ski /snowboard boots, ski lockers just outside the apartment door and a private underground garage. 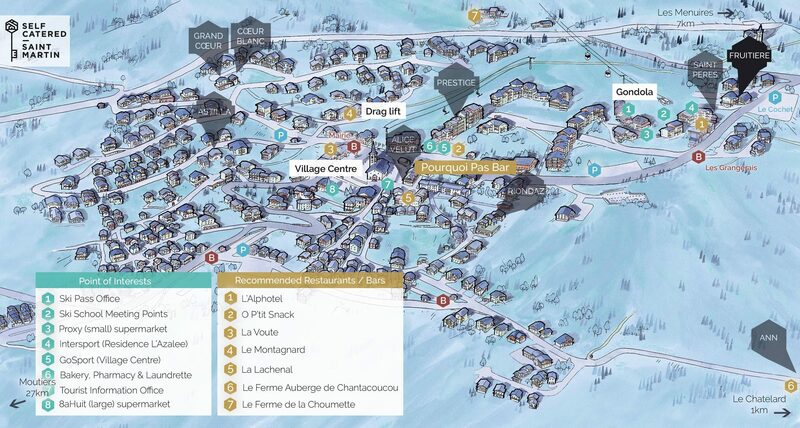 The chalet apartment ‘Bernardie’ is situated on the ground and first floor of ‘Chalet Fruitière’ – right next to the apartments ‘Astragle’ and ‘Camarine’. The prices above allow up to 7 people in the ‘Bernardie’ apartment.